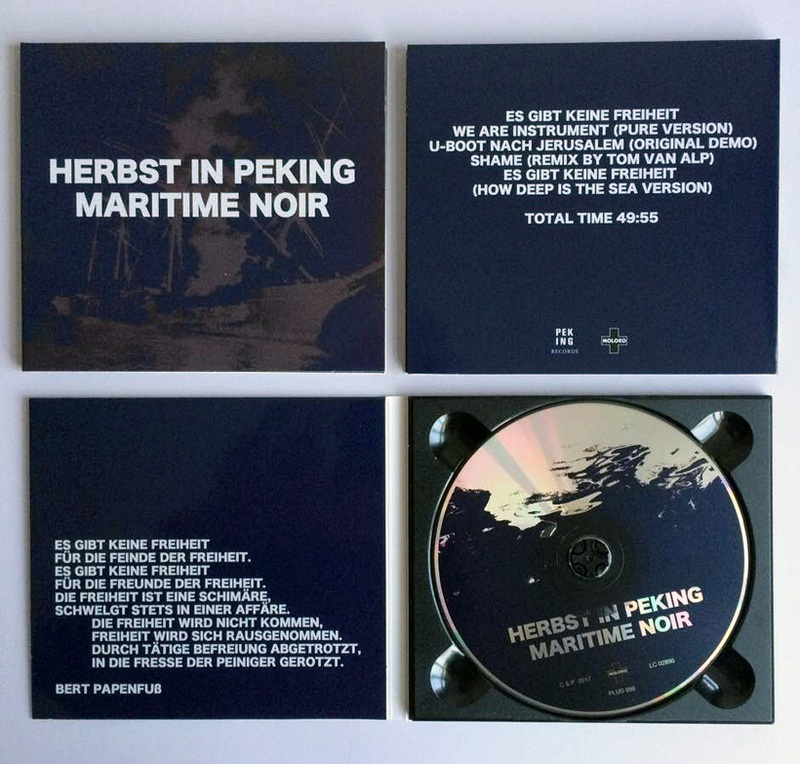 The 5-track CD opens with Bert Papenfuß’s poem ‘Es gibt keine Freiheit’ read in Rex Joswig’s dark and mesmerising voice and set to music by Joswig’s band Herbst In Peking. Once the hawsers of this Moloko Plus release have been cast, the listener finds himself seabound on a voyage to an ever-receding horizon. 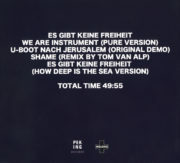 Accompanied by the sounds of seagulls and submarine sonars the slow voyage leads from ‘We are instruments’ to ‘U-Boot nach Jerusalem’ and to Tom van Alp’s remix of HIP’s classic ’Shame’, only to return to an instrumental version of the opening track. Sure enough, freedom may never come, but this dark and attractive HIP release is a convincing invitation to keep setting sail for its shores. 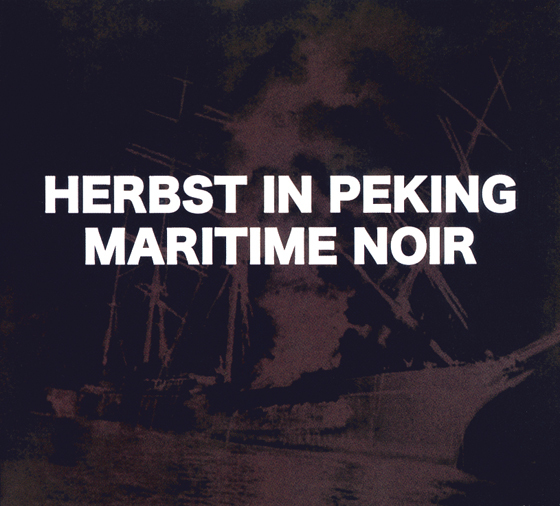 Herbst In Peking, named after Boris Vian’s novel, was formed by Rex Joswig in East Berlin in 1987. The anti-authoritarian stance and fierce criticism of the GDR regime of this punk band led to an official ban in 1989. 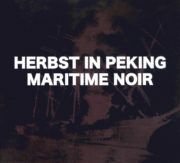 While Rex Joswig ran his Grenzpunkt Null radio show from East Berlin after the GDR had collapsed, his band steadily assimilated influences from Dub, Industrial and Electronic Music. HIP’s line-up has changed over the years with Joswig as a constant member and their collaboration with Moloko Plus productive to this day.